Growing asparagus is increasing in popularity, especially among those establishing a more sustainable food source. As a perennial with an amazing amount of flexibility in the kitchen, it is no wonder the popularity is increasing. With potential for years of production, asparagus farming has a huge upside. 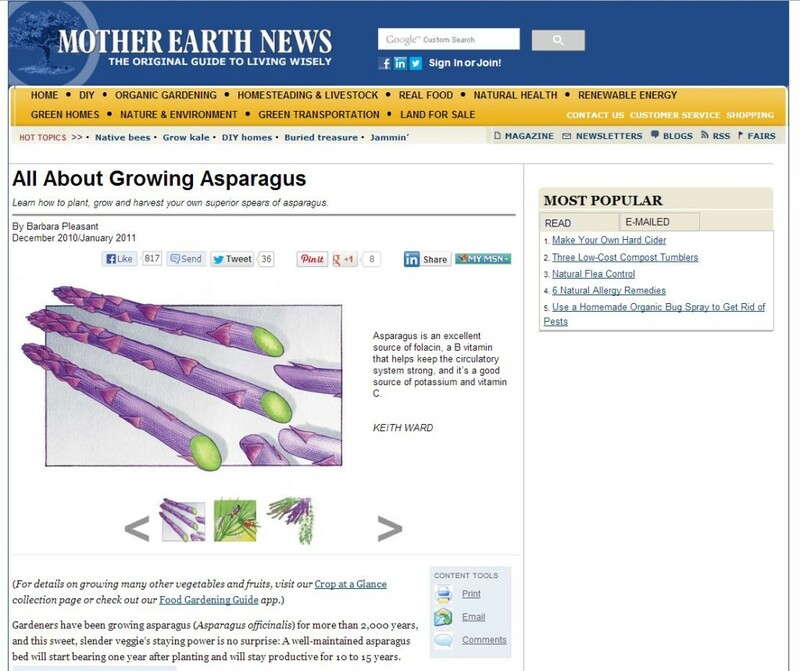 Checkout this Mother Earth News tutorial to get started growing asparagus.